Are you thinking of learning to drive on the roads of london?, then look no further. Right drive Driving school in leyton, Leytonstone has been providing the people of leyton Leytonstone with the highest quality driving tuition for many years. Our lessons are delivered by some of the most experienced instructors in London & Essex. If you tend to forget a lot of what you learn in weekly driving lessons, or if your theory test certificate is about to expire, or if you need to pass your test quickly for a new job or before you move away, then an intensive or “crash” driving course may be for you. The difficulty with intensive driving courses is timing. You have to have passed your theory test before a practical driving test can be booked, and the waiting list in some local practical test centers can be quite long. In addition, you need to find an instructor who is able, (and willing), to reserve a whole week or more to one pupil, which can be difficult if that instructor already has a responsibility to provide lessons to an existing book of pupils having standard hourly lessons. If you’re learning to drive, and are having trouble co-ordinating the clutch and the gear-stick, or if your manoeuvres suffer because of poor clutch control, you might want to consider learning to drive in an automatic car. Automatic driving lessons follow the same format as driving lessons in a manual gear-box car, although there are some very important differences. In an automatic car, you don’t need to change gear; the car does that for you “automatically”, depending on the speed you’re travelling at and the demands being put on the engine. This means you can focus on the road conditions around you and being freed from the extra pressure that a manual gearbox car can create makes for a better motivated learner, which means a better driver. 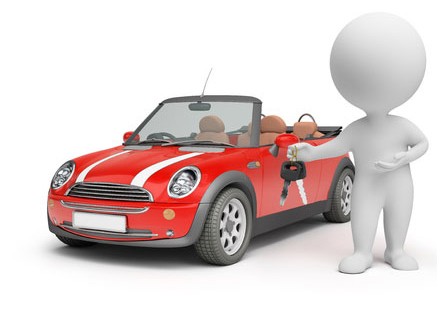 An automatic car is more expensive to buy and costs more to run, so lessons in an automatic will be slightly dearer, although you might actually be able to save money by needing fewer lessons.